Emily McLain, daughter of Rep. Susan McLain, is the next executive director of PPAO. A Forest Grove High School alumna is preparing to take the reins at the political advocacy arm of Planned Parenthood's Oregon chapters. 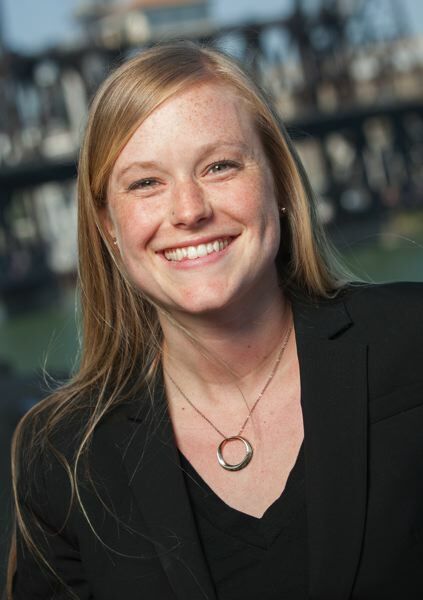 Emily McLain will assume the role of executive director of Planned Parenthood Advocates of Oregon on Wednesday, June 13, the organization announced last week. Becca Uherbelau, who chairs PPAO's board of directors, said in a statement that the board is "thrilled that Emily will be leading our work to advance reproductive justice in Oregon." Uherbelau added, "Emily has the grassroots organizing experience, the strategic expertise and a forward-thinking vision to guide PPAO as we continue to work in coalition to protect Oregon women's health." McLain's name is a well-known one in the Forest Grove and Hillsboro areas. Her mother, Susan McLain, is a former Hillsboro schoolteacher who served on the Metro Council from 1991 to 2006. Since 2015, Susan McLain has represented Forest Grove, Cornelius and parts of west Hillsboro in the Oregon House of Representatives. She is a member of the majority Democratic caucus. Emily McLain credited her parents with teaching her the importance of being involved in her community and advocating for people whose voices often go unheard. "My mom has been an absolute inspiration for me, and she's just been an amazing example for me and my whole family," she said. Emily McLain, who now lives in Portland, has built her own resume in Oregon's political scene over the past decade. After graduating from Forest Grove High, she attended the University of Oregon, graduated in 2008 and went on to work at the Oregon Student Association. She served as the association's executive director from 2010 to 2013. "The (Oregon Student Association) is an amazing organization that engages young people in advocacy for affordable tuition and access for all students," McLain said of that previous job. Of taking on her next executive director job with PPAO, McLain said, "I'm incredibly excited with a healthy dose of nervous. It's a big responsibility, and I'm really appreciative of the opportunity that the board and the staff have given me." PPAO's mission is one of "education, outreach and political advocacy" on behalf of Planned Parenthood in Oregon, McLain said. The organization participates in lobbying for Planned Parenthood's causes in Salem — which McLain said she did herself from 2014 to 2016 — and endorses candidates for office. "I'll have the opportunity to work with an incredibly talented staff at PPAO and with the Planned Parenthood affiliates from across the state," McLain said, adding, "My work will be to really move that mission forward." Editor's note: A previous version of this story misstated the years Susan McLain served on the Metro Council. She was a Metro councilor from 1991 to 2006. The story has been updated.